It's that time of year again - SimpleHR 2016 W2 forms have been printed and distributed. Now that you have your W2 in hand, be sure to protect your personal information to avoid Tax Identity fraud. In recent years one of the most common scams used by identity thieves is TAX ID Fraud. According to the Federal Trade Commission, starting in 2014 Tax ID theft became the largest form of identity theft with an estimated $5.2 billion consumer fraud costs annually. How does the Tax ID scam work? 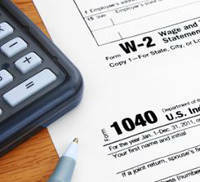 A Tax Identity fraudster files dozens or even hundreds of fake tax returns using stolen personal identity information. Their goal is to file before you do so that they can receive your tax refund which is often provided with an easy-to-use prepaid debit card. January and February are peek months for this scam. Since most tax payers do not file early, scammers have an opportunity to collect the refund before you even know what happened. They also commonly try to obtain children's personal information so they can claim them as dependents to increase the refund. How do you know if you have been the victim of Tax ID fraud? If you file your return and receive a notice from the IRS that a return was already sent out or your return is rejected by the taxing authority, chances are you have been a victim of Tax ID Fraud. If your income, or your child's income does not meet the minimum filing threshold and you receive a bill or collection notice from the IRS or taxing authority, chances are a bogus return was filed by a tax identity thief. You may also notice a discrepancy on your Social Security Statement or receive notice from the IRS that not all your wages were included on your return. This could indicate someone is illegally using your Social Security Number with their employer. File Early! The best defense is to file your taxes early. Once you have your W2 form, start working on state and federal returns as soon as you are able to do so. If you use online tax preparation sites, note that most have instituted new security measures which may require some additional preparation time. Protect Your Personal Information! Reduce your risk of identity theft through this or other scams by protecting your identity information any time you are online. Identity thieves are even harder at work at this time of year looking for unprotected information that they can steal. To protect your ID on line, be sure to update your computer operating system, use a firewall and up-to-date virus software on your computer devices, update your web browsers, and change your online account passwords frequently including your social media and web email. Where available use two-factor authentication. You may also want to monitor your credit report for unauthorized use. Watch Out For Phishing Emails! Phishing emails are even more common at this time of year. A phishing email is designed to trick you into clicking on a link or attachment that will install malware or a virus on your computer that can steal your personal information and send it back to the identity thief. Often these emails spoof legitimate organizations such as your bank, the IRS, police departments, and FBI, or even payroll companies. To avoid the risk, do not click on any links or open the attachments in the email. Instead, contact the institution directly to see if they are trying to reach you. Don't provide any personal information through emails to organizations – most legitimate organizations will not ask you to send confidential information through an email. What do you do if you have become a victim of Tax ID fraud? Are you a victim of Tax ID fraud? What do you do now? 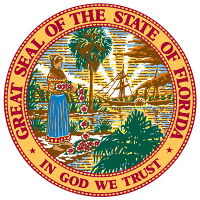 First, report the issue to the IRS and your state and local taxing authorities immediately. The IRS Identity Theft Protection Specialized Unit can be reached at: (800) 908-4490. Contact your local police department and file a police report. You will need the police report to file a notice with the IRS and the Federal Trade commission. You may also want to put a watch on your social security number with the credit bureaus and review your Social Security statement for suspicious reported income. For more information on what to do, review the Tax ID Theft information available from fraud.org. SimpleHR Voted Best in Destin! 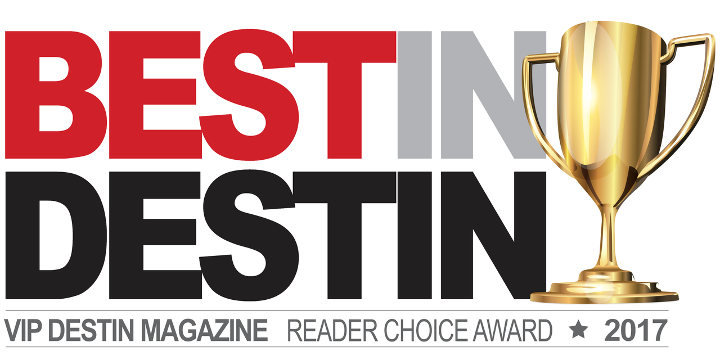 We would like to take this opportunity to thank all of our clients and friends for taking the time to vote us Best in Destin. We are truly blessed to be able to accept the award of Best Human Resources/Payroll Firm.